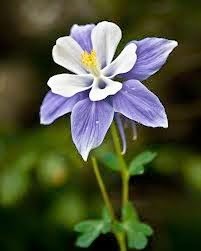 Today is the 15th anniversary of the Columbine shooting. You remember that one, I'm sure. On April 20, 1999, 2 teen-agers brought guns to their high school and started shooting. In the end 13 were dead ( including the shooters) and 24 injured. "Coni Sanders is the daughter of one of the victims and she wishes taking the stage wasn’t part of hers. “Hate overwhelmed two boys enough to take people from our lives and now this is what we do around Easter,” said Sanders. Sanders and dozens of others wiped away fresh tears. “I know my dad is with me every day, coaching me silently like he did the kids at Columbine,” said Sanders. Folks gathered to find comfort after losing their loved ones in the shootings. “We are part of an unwanted family. None of us asked to be part of this family, family of survivors of mass tragedy,” said Sanders. Unfortunately, that family is growing. Tom Sullivan lost his son in the Aurora theater shootings. “Thank you for the courage you have all had since that day. It has certainly strengthened me in my private moments,” said Sullivan. Sandy Phillips lost her daughter. “Their lives meant something. Not just to their families, but to the communities that they lived in,” said Phillips. Now two families came together and made the pilgrimage up the hill to the Columbine Memorial leaving flowers in memory of the students killed and the grieving families. “We support each other, love each other, we help each other through. But at the same time, none of us wanted to be here today because this wasn’t supposed to happen,” said Sanders. Sanders says the memorial serves as a symbol of peace in the community." Yes, "unfortunately that family is growing." I wrote a few days ago about the anniversary of the Virginia Tech shooting. Every year, the pain returns. Memories are still vivid. In no other country do we mark anniversaries of mass shootings like we do in America. In no other country does a mass shooting like that of Columbine, Virginia Tech, Aurora, Navy Yard, Sandy Hook, Northern Illinois University, Fort Hood, Red Lake, and the many others go unanswered by elected officials. The answer is to promote gun safety measures to keep senseless shootings from happening. And where stronger gun laws and a sensible gun culture that does not promote more guns in every nook and cranny of public places people are safer. It's a fact. Generally speaking, weaker gun laws correlate with higher rates of gun deaths. Why do we ignore the facts? The memorial services are often seen as symbols of peace in the community. That is what survivors want. Peace. No more mass shootings. No more every day shootings. No more memorials. No more funerals and memorial services. 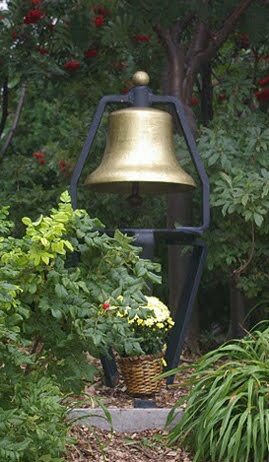 No more bell ringings or candle lighting services. But this is the America we have. It is not the America we deserve. People of peace and good will should be able to come together to pass common sense measures to prevent at least some of the daily carnage in our communities. We must be insistent that that happen or we will continue on a trajectory to seeing our next generation of Americans devastated by gun violence. Do we care about this national public health and safety epidemic? If not, why not? The question needs to be asked and answered. Today I wish peace to all. And Happy Easter to those who celebrate the holiday. Please join me in efforts to support peaceful communities where gun violence does not occur on a daily basis.